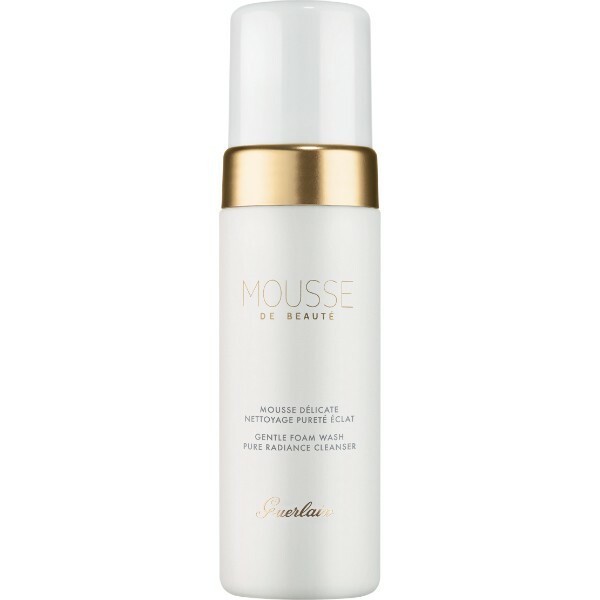 Created to purify and refresh your skin, the Guerlain Mousse de Beauté Cleansing foam Is the ideal complement to make-up removal. Lusciously whipped and air-light, this mousse has a rich and dense texture yet feels so fresh on the skin. It gentle cleanses and clarifies the complexion, ensuring absolute comfort whilst it removes all impurities. This lightweight daily cleanser is enriched with nigella flower oil, an ingredient charged with antioxidant and anti-inflammatory properties. The foam transforms into a silky cream upon contact with water, for a soft, smooth and radiantly translucent result.